One of the best parts of giving can be making handmade gifts and cards for the ones you love. Try some of the projects and cards you see here. You'll love the smiles that they bring! Scroll down on this page and see all of the cards, wraps, and gifts. Then choose the Project Sheet you want to download. Enjoy your FREE PDF download. It couldn't be easier! Choose any pattern of fleece you like to make this cute set of winter hat and mittens. Then put it in a fruit jar to give as a gift. Yes, it will fit! 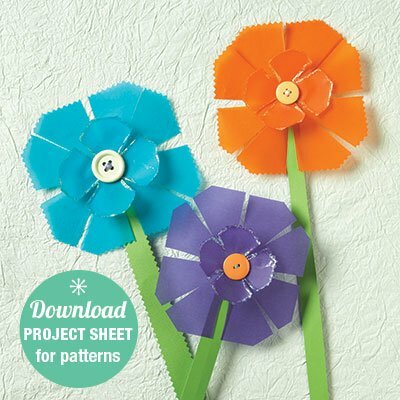 For the patterns and full instructions, download the Project Sheet, above. 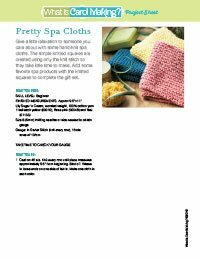 Love to knit but don't want to take too much time? 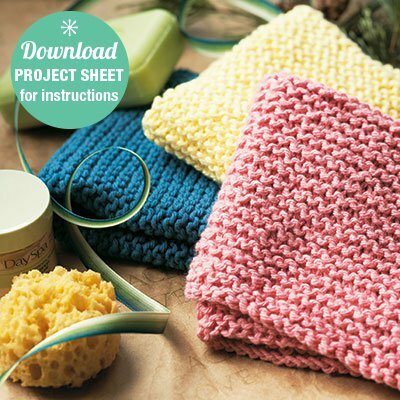 These little square cloths use only the knit stitch so you can make dozens to give! Add a matching bar of soap for a perfect gift! 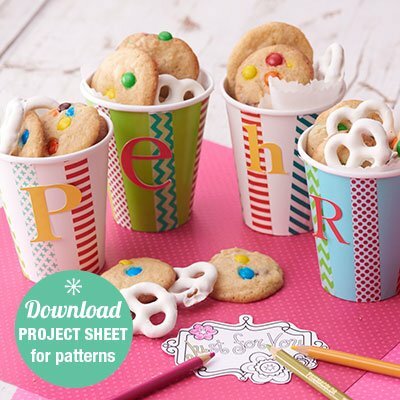 For the instructions, download the Project Sheet above. 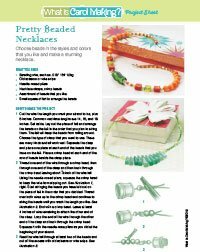 Choose beads in the styles and colors that you like and make a stunning necklace for that special someone special. Download the Project Sheet, above to get complete instructions. 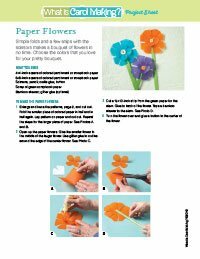 Instructions include tips for a first-time beader. 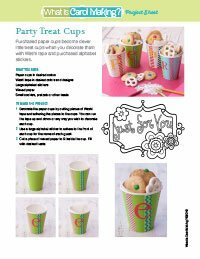 Little paper cups become fun treat giveaways with just a little Washi tape and a cute little tag. Download the Project Sheet, above, for full instructions.